Let’s celebrate Garden Day on Sunday October 9! South Africans from all walks of life are joined by their love of gardens. That’s why we’re celebrating this country’s first ever Garden Day. Patio potters, veggie farmers, guerilla gardeners, mink and manure dames, avid horticulturalists and green-fingered folk are all invited to enjoy their private heavens on Sunday 9 October 2016. Garden Day is intended to bring us together to celebrate one of life’s simplest but most profound pleasures. You can enjoy this day in your own back yard, at your neighbour’s urban farm, or even on a sheltered balcony overlooking the city… It doesn’t really matter how big, or how small, your garden is. The important thing is to appreciate your very own version of a planted paradise and share it with friends and neighbours. Most of the year we plant, water, weed and mulch – in other words, work. Now, here’s a day where we can reap the rewards of all our labour. Visit your local nursery or garden centre, stock up with seedlings and once you’ve prepared your garden, toss down that spade, kick back and appreciate the varied reasons why making a garden is so worthwhile! Besides the sheer pleasure of smelling the roses, science is proving that gardening has distinct health benefits. According to various studies, gardening lowers blood pressure and increases brain activity. It combats stress and anxiety more effectively than any other kind of leisure activity – including reading! It also alleviates angst and depression. For older folk it lowers the risk of dementia, stroke and heart attack. Gardening can help us recuperate faster. It even seems to calm prisoners in jail! People who garden tend to eat more fruits and vegetables and the same is true for kids who garden at home or at school. Whether you’re a new or seasoned gardener, in the lead up to Garden Day, get connected to a library of gardening information, useful tips and direct access to top South African gardening experts with the help of the free Gardening with Babylonstoren App. With all these reasons to celebrate, let’s hope for beautiful weather in the heart of Spring. 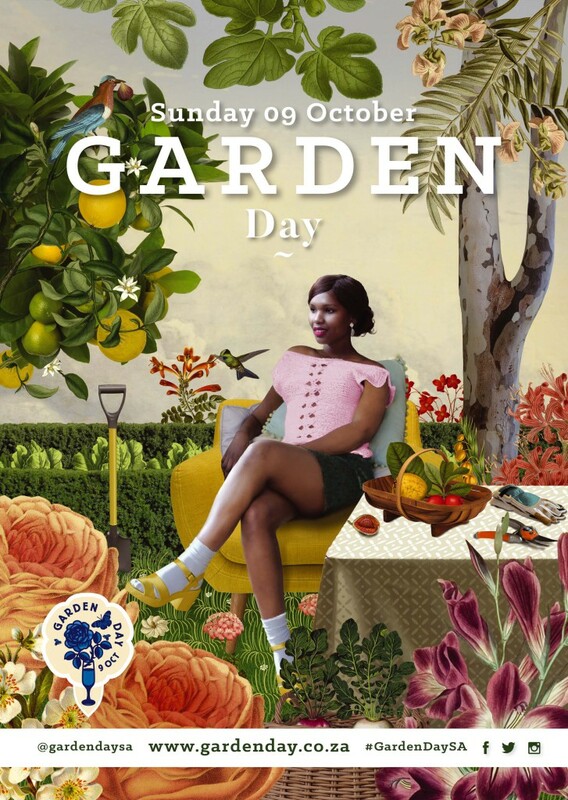 So hang up the gloves, invite neighbours and friends round for rooibos tea and beskuit, or join them for a glass of bubbly, because Sunday 9 October is our first official Garden Day! A day for everyone! To see what you can do on Garden Day and how to download the Gardening with Babylonstoren App, you’re welcome to visit www.gardenday.co.za, live in August, or send an email to info@gardenday.co.za. For the Garden Day Fact Sheet, click here! Follow Garden Day on social media from end August on Facebook, Twitter & Instagram.